Hey everyone. Just a quick note to tip my hat to one of my best friends and fellow artist, Ryan Mellody. 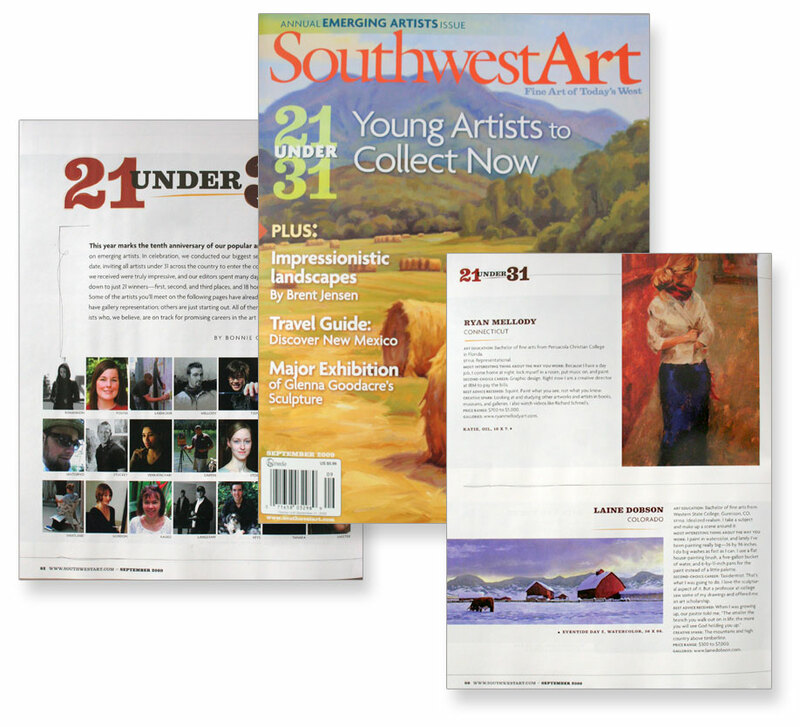 His work has recently been selected to appear in the September issue of Southwest Art magazine's "21 under 31", on newsstands now. It is an annual feature that, as the name describes, showcases art from the top 21 artists under the age of 31. His portion of the article nicely displays a recent work Katie, seen here. He's a phenomenal painter, yet he gets better with each new work. Check out his sites.